Why is a Tech Startup Blogging about Spring Cleaning? How did Spring cleaning become a thing, and why do we do it? It’s officially March. Daylight savings has us up an hour earlier, the weather’s teasing us by thinking about getting warmer, and most of us are envious of the students enjoying spring break on a beach somewhere. Supposedly, this odd combination of things gets us in the mood to clean house. But there’s research to back it up: according to the experts, the warm weather and extra light are responsible for giving us the additional boost of energy. What is it about cleaning that gets us so excited? Is it the fresh smell of mopped floors? Is is the sigh of relief when you can actually park your car in the garage instead of using it for storage? Or is it the look of shock on your significant other’s face when they realize their 10-year-old socks (the ones with the huge holes) are gone for good? Now, before we get too far in - I hope you didn’t get really excited about reading some “spot-free window cleaning tips” or “how to declutter your closet in 12 easy steps.” After all, 1) this is a software blog, and 2) I haven’t mastered either of those things. Spring cleaning is a way to refresh and reset. It feels GOOD to declutter. This is the premise here. Most people associate Spring cleaning with their home - but what if we went into Spring with that same excitement at work as well? What if we wanted to share that same, cathartic feeling with our teams and coworkers? 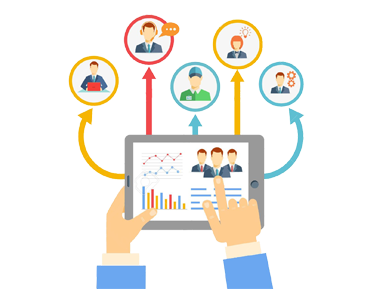 One Model can help you Spring clean your people analytics data and provide your team with access to more insights within your current workforce analytics data. We’re the experts at pulling data from as many as 40 or so sources. We can place it on a single platform (that will automatically refresh and update), allowing your team can see how it all interacts together - in one place. Say goodbye to the days of exporting data and poking around with Vlookups in excel, only to have to manually create the same report over and over again. Using the One Model platform to manage your HR data is akin to having someone come in and untangle 200 feet of Christmas lights (but instead of lights, it’s untangling data from your workforce analytics systems). And when you use our platform, you won't have to untangle it again. A work-related spring cleaning is even more satisfying than a spring cleaning at home. Honestly, it is. You’re not going to get a promotion from organizing your cookware cabinet. However, at work, you might be considered for one if you detangle your data and save your team hours of their valuable time and resources on preparing data for analyzation. 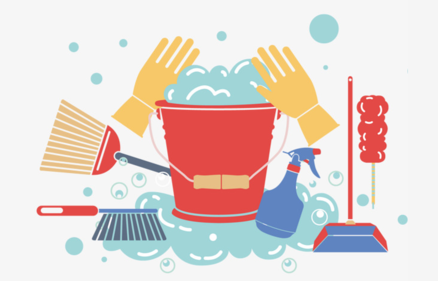 So, if you suddenly get the itch to clean something - I urge you and your HR team to commit to participating in a workforce data spring cleaning. Call it a day, and contact One Model to sort out your data organization problem for you. Same satisfaction, less scrubbing - I promise. Then, go home and turn your Roomba on, knowing you just conquered spring cleaning on both frontiers.